After just one week of North American sales, it appears the Wii U captured some of the same Zeitgeist its predecessor did back in 2006. Nintendo reported it sold some 400,000 Wii U consoles last week, which helped the company move more than 1.2 million consoles and handhelds during the Thanksgiving holiday. The Wii U could have sold even better at retail, but Nintendo was unable to meet the initial demand to keep the first next-gen console on shelves. "Wii U is essentially sold out of retail and we are doing our best to continually replenish stock," Nintendo of America President Reggie Fils-Aime told CNET. "Retailers are also doing their best to get the product to store shelves. But as soon as product hits retail, they're selling out immediately." Nintendo is no stranger to strong console sales, as the the Wii managed to debut with an impressive 600,000 units sold during its debut week six years ago. 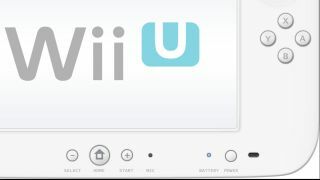 The Wii is still selling in the hundreds of thousands even now, having moved 300,000 units last week as well. Those 700,000 combined console sales were joined by equally impressive handheld sales from the 3DS and DS. Fils-Aime pointed out the 3DS was able to continue adding to its record sales, with another 250,000 units added to the more than 6 million already sold since its launch. Nintendo also counted another 275,000 DS sales to the ever-growing total the dual-screened handheld tallied since 2004. The Wii U goes on sale in Europe starting on Nov. 30 and in Japan on Dec. 8 - events that could put added strain on Nintendo's console supplies.